BMW R65 or Honda CB750? Hey guys, I'm about to start my first cafe racer build, however, i'm torn between two bikes. I started off with my mind set that i'm going to use a 1976 CB750 as a platform, until I came across a 1981 BMW R65. I can get the CB750 this weekend for $1250 and the R65 for $1750. The bmw has over 40,000 miles and i'm not sure about the Honda. They both are in running condition and neither of them really need much. ( the front brake on the Honda needs to be replaced). I'm reaching out to you guys for your expert opinions here because I honestly don't know to much about either bike. Any help with pros/cons and just any information would be great! Hi and welcome. I am very pro Honda, they actually built racing versions of the CB750 so the stance is already there. I think you'll also find there are a lot more spares and 'goodies' readily available for the Honda than the BMW, especially your side of the pond. Steve 'Carpy' Carpenter's site www.CB750cafe.com seems to be down at the moment, but just Google CB750 cafe racer for some real inspiration. And once the project is under way come back and post pictures! 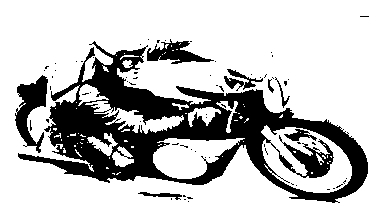 Subject: Re: BMW R65 or Honda CB750?